Mercedes' Valtteri Bottas is concerned that the team will lose out to rivals Ferrari at the next two races in China and Azerbaijan thanks to their gains in straight line speed. Bottas noted that Ferrari made significant gains in straight line speed in Bahrain. Bottas won the opening round in Melbourne, leading a one-two finish for Mercedes while Ferrari struggled in fourth and fifth, but the tables were turned in Bahrain when both Mercedes were demoted to the second row of the grid thanks to Ferrari's return to pace. Lewis Hamilton eventually won the race as Sebastian Vettel suffered a spin and a front wing failure, while leader Charles Leclerc slowed due to engine problems. “We’ve seen Ferrari was making all the time on the straights, and in China, there’s a longer straight," Bottas said. "So we do need to work hard. "For sure we are improving the car all the time and we need to review what we can do for the straight lines, but it’s going to be tough. But like [Bahrain] showed, if we keep focusing on ourselves and our things, then anything is possible." Bottas believes the team must work hard to close the gap to rivals Ferrari coming into the next two rounds, which are both tracks noted having two of the longest straights of the year, fearing the team could lose out at these circuits. 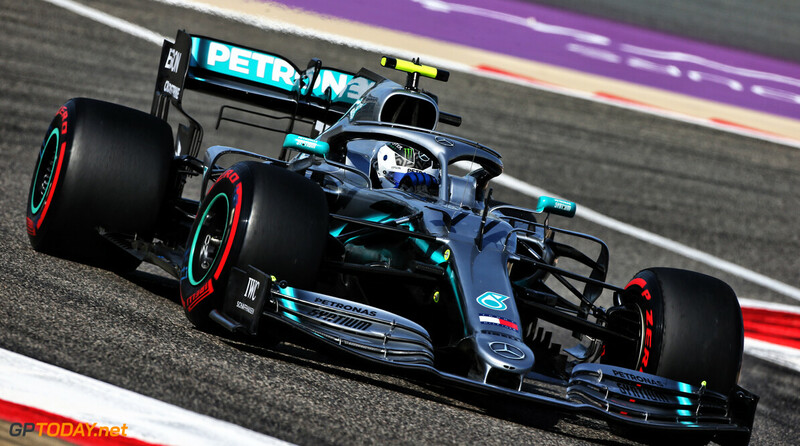 “The next two races there are massively long straights, and I think [in Bahrain] they were making more than 0.4s only in straight lines per lap," Bottas commented. "We can’t find 0.4s like this. We need to maybe find some of it in the corners and some of it in the straight line, but it’s early on in the season and still a long way to go. But at least we know what we can still work on." Seriously... Why are you guys crying so much? We’ve endured too many seasons of unabated dominance from Mercedes already. Anyone intelligent is already questioning the credibility of the sport now. Oh don't worry Bottas. Just race Vettel and he'll sooner or later get punished by his overdriving again and spin. Find whatever you guys need to find but after so many of one-sided contests it is good to have one in which you guys are not clear favourite.